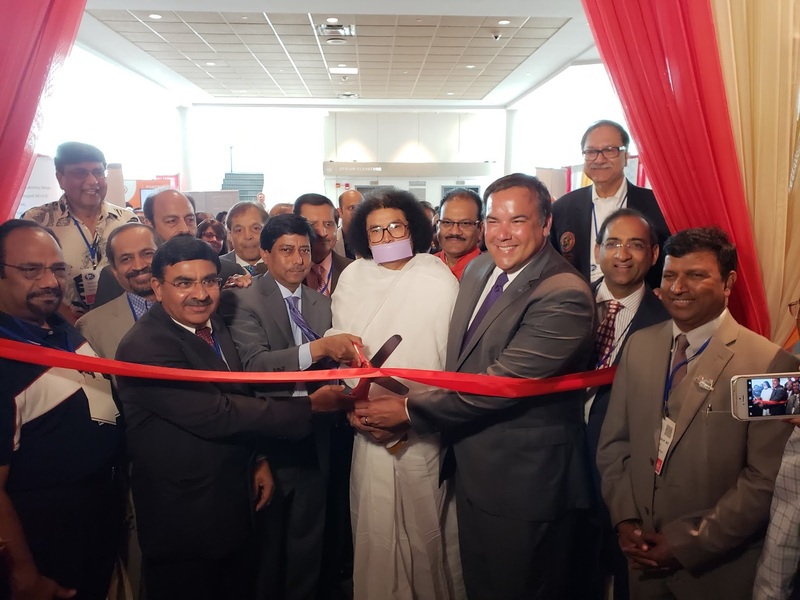 Columbus, OH: July 5th, 2018: With ribbon cutting and lighting of the traditional lamp below a beautifully decorated arch, Andrew J. Ginther, Mayor of Columbus and Acharya Lokesh Muni ji officially inaugurated the 36th annual convention of American Association of Physicians of Indian Origin (AAPI) at the Convention Center in Columbus, OH on July 5th, 2018. In his warm welcome address, Dr. Gautam Samadder, President of AAPI, reminded the more than 1,500 AAPI delegates from across the nation of the historic nature of the convention. “The Future is now-- Its time to step up to a new era of innovation through a new age of digital healthcare that transcends biological and chemical medicine into the future. As physicians we must be equipped to tackle the next generation’s unique set of challenges and opportunities in healthcare,” Dr. Samadder said. In his opening remarks, Mayor Andrew J. Ginther praised the many contributions of AAPI members in the United States and particularly in the state of OHIO. “You have excelled in your fields of medicine, and thus make significant contributions through hard work, commitment and dedication to your profession and the people you are committed to serve,” he said. While conveying his greetings and best wishes to AAPI leaders for the success of the convention, the mayor described the fast growing health sector, particularly the pharmaceutic industry in India. Mayor Andrew highlighted the fast growing and diverse city that Columbus has become and urged Indian American physicians to invest in and make Colubus city their home. Acharya Lokesh Muni ji, in his inspiring address to the audience, highlighted importance of having a platform such as this to share knowledge. He underscored the importance of ancient Indian wisdom that is the basis for modern Medicine. While praising the contribution of the physicians to the world, he reminded them that they are participating in the work of God and what they do today will shape the future of the world. Member of Indian Parliament, Vallabhbhai Katharia said, Physicians of Indian origin are well known around the world for their compassion, passion for patient care, medical skills, research, and leadership. “Indian-Americans constitute about one percent of the country’s population, but you account for nine percent of the American doctors and physicians, serving one out of seven patients being treated across the nation.” He praised Prime Minister Narendra Modi for his inspiring leadership, steering the largest democracy in the world to new heights. He urged AAPI to endow an AAPI Chair in India to share the knowledge and experience of AAPI members with their counterparts in India. Dr. Veena Gandhi of the Health Foundation of Rural India shared with the audience the immense job the Foundation does in 70,000 villages across India, benefitting millions of people. At the Business Meeting and the Fund Raising led by AAPI Charitable Foundation, Dr. Chander Kapasi helped raise money for the Foundation, while highlighting the many charitable initiatives of AAPI both in India and in the United States. Also, AAPI recognized Raja Rajadhyaksha and Dr. Sanju Bhghya for their contributions to the society and for AAPI. Earlier, Neeraj Anthani, the youngest elected official in the Ohio state Assembly felicitated AAPI and he presented a Citation to AAPI. A spectacular fashion show by Rohit Verma kept the audience spell-bound for an hour, while the Mystic India show took the audience to a heavenly journey, showcasing the brilliant Indian dance forms performed elegantly by talented artists. The day was packed with back to back seminars and CMEs and conferences, including Beauty Pageant, Children and Youth activities, Medical School Alumni meetings, and inspiring speeches and a busy market place where vendors lured AAPI members with their specialty products. This CME program is being jointly sponsored the American Association of Physicians of Indian Origin and has been designed to meet the educational needs of Primary Care physicians - Internists, Family Practitioners, Pediatricians, and Specialists - Cardiology, Oncology, Endocrinology, Surgery and other specialties involved in the care of patients with Atrial Fibrillation, HIV disease, Diabetes, Dyslipidemia, Depression, Prostate and Hematologic malignancies and Back pain. Since nobody else has mentioned, it, I thought I should explain what really happened with the news last week about North Korea (and the upcoming Trump trip in May). I can add, I have been waiting for just such a North Korean announcement ever since Kim Jong-un took over. It was inevitable. All he needed was the right opportunity. But this latest Kim has a problem. Time for the Hermit Kingdom is clearly running out. Never-ending spasms of threatening America with annihilation, and widespread internal starvation, are unsustainable. For the former, war is no longer completely unthinkable, and for the latter, the people might even rise up. More deeply, though, I think Kim recognizes that family dictatorships, like the dynasties of more traditional absolute monarchs - Kings, cannot survive in the modern world. As a means to maintain power, they have been superseded. There are many different types of power, but at this social scale what counts are economic and political. Indeed, each in turn has its own "inheritance principle." Formerly, society accepted that political power could be inherited, witness the Kings. But starting with the Magna Carta in 1215, which restricted the rights of King John of England, the idea that individuals could have absolute power was rejected. This was subsequently extended to the right that they could pass their power on. Politically, the Kims are among - or even - the very last. Kim Jong-un no doubt understands that he will almost certainly be blocked from giving his power to a family heir. It simply won't work anymore. Fortunately for him, the inheritance principle for economic power is still intact. The wealthy, no matter how they got their money, are not prevented from leaving it to their children. This means that he can rob North Korea, and then pass the assets on to the next generation, and no one will blink an eye. And, after all, is the aggravation of being a dictator even worth it? You're hated by the people and the world. You can't travel freely. What's the point? It is much better to be one of the anonymous billionaires, who live above society and its norms (e.g. Trump, before he foolishly ran for President). If you donate a small percentage of your wealth to charity, you will even be painted as a saint. Kim is in a trap, and he knows it. The saber-rattling has reaching its only possible conclusion: shut up or fight. And you can be sure, he does not want to fight. Neither do his generals. They understand that it will mean their own annihilation. But, no prior American President would give him (or his father) what he wants: Normalization. Kim wants North Korea to be a normal, accepted dictatorship, like China or Russia or Burma. He wants to be accepted by international banks and corporations and other countries and the U.N. They are all so happy to overlook so much. Why can't he get in on the deal? Why does his country have to be such a pariah? Can't he come in from the cold? Until Trump, he was stuck. No American leader would reward his threats of nuclear terrorism. But Trump is different. He is a sociopath. He is already a criminal oligarch. He likes political dictatorships, and wants to be a dictator himself. 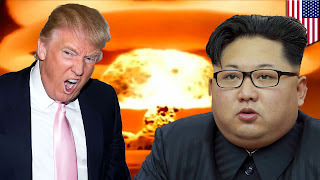 Trump would be happy to help Kim, if it could be positioned as a success to his brainwashed followers and to his fellow power-mad Republicans. I wouldn't be surprised if Trump welcomes Kim into the international fold, and without North Korea having to give up its nuclear weapons and ballistic missiles (at least for a very long time, meaning ever). A meaningless promise will be enough. Kim will get his normalization. North Korea will start opening. It will begin transitioning to the China dictatorship model. And then, over a period of many years, Kim will become a figurehead (he probably already is). And finally, when he is gone, another suitable but this time non-Kim will be chosen to perpetuate the dictatorship. Along the way, investment will start to flood in, which Kim and his top-cronies will steal - they will at last get seriously rich. And in conclusion, through all of this, the political dynasty will be transformed to a totally acceptable plutocracy. It's the norm in almost every country around the world, even America. It will be welcomed in and for North Korea as well. So, why do I say Donald Trump is being played? The answer is, again, because North Korea will not give up its nuclear weapons and ballistic missiles. Trump will have been outmaneuvered by "Little Rocket Man," and the U.S. will not be safe. Secondly, as with everything he has been doing, this was meant to distract the public from Robert Mueller's investigation. Trump may even be hoping that Mueller might go easy on him, if his propagandists can generate sympathy by saying that he ended the North Korean crisis. Here, though, he is of course mistaken. Mueller will never stray from his mission, of defending America from foreign interference, including in this case Putin's conspiracy with the Trump family mafia. There is inevitability here as well. Trump will be removed from power (unless he resigns or dies), and he will be reviled by history. Even future generations of Republicans, presuming that the Party can shed its racism and fascism and once again serve as a credible political alternative, will spit at the mention of his name. APEC is an influential forum, accounting for almost 40% of the world’s population, 57% of the global GDP and 49% of international trade. The aim of the 21 member economies is to promote economic growth and prosperity, and the 2017 summit’s theme is “Creating a New Dynamism, Fostering a Shared Future”. Yet this shared future of growth and prosperity is surely only attainable if it is based on a common commitment to the principles of freedom and human rights? As history has proved, economic development and human rights are not incompatible. On the contrary, they are interdependent and mutually reinforcing. Development is freedom, said Indian Nobel Economics laureate Amartya Sen, but he stressed that this freedom can only exist when “economic opportunities, political freedoms, social facilities, transparency guarantees and protective security” are equally guaranteed. Vietnam is not only using force, but also the law to curb freedom of religion or belief. In November 2016, Vietnam adopted a “Law on Belief and Religion” which imposes tight controls on religions and legalizes state oversight of religious affairs. Independent religious groups such as the UBCV, Khmer Krom Buddhists, many Protestant house churches, independent Hoa Hao or Cao Dai which do not accept the Communist Party’s intrusive interference will be extremely vulnerable when this law comes into force on 1st January 2018. Vietnam’s future, and the “shared future” of the Asia-Pacific region depend on the commitment you make today to place decency, dignity and democratic freedoms at the centre of your efforts to promote economic cooperation and trade. Guwahati: Indian Prime Minister Narendra Modi on 26 May inaugurated the country’s longest river bridge in far eastern region and gave a nomenclature to the project over Lohit river, a major tributary of mighty Brahmaputra. 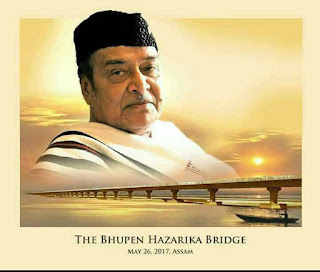 PM Modi, who arrived in the morning hours from New Delhi, dedicated the Dhola-Sadiya bridge to the nation and also name it after legendary Assamese cultural personality Dr Bhupen Hazarika. “The road connectivity will see a major transformation as this bridge will fill a huge connectivity gap that has existed in the region. It will also enhance connectivity between Assam & Arunachal Pradesh, and opens the door for economic development on a big scale,” said Modi while addressing a rally at Dhola in Assam. The bridge is expected to reduce the distance from Rupai (Assam) on NH- 37 to Meka-Roing (Arunachal Pradesh) on NH-52 by 165 km and thus give a major boost to overall economic development in the region. PM Modi added that the infrastructure along with road & rail connectivity is extremely important for development. “The effort of the Union government is to fulfil the dreams & wishes of the people,” commented Modi in presence of Assam governor Banowarilal Purohit and the State chief minister Sarbananda Sonowal adding that the Centre was placing great emphasis on the development of waterways as well in the region. Modi asserted that the eastern and north-eastern parts of India have the greatest potential for economic development. The enhanced connectivity between the region and other parts of the country, and also good communication linking the region with the economy of South-East Asia remains the priority for the Centre, he declared. Constructed with the budget of rupees 950 crore and connecting Assam with Arunachal, the Dhola-Sadiya bridge is expected to change the lives of thousands of families. Moreover, it is assumed that the 9.16 km river bridge would fulfill a vital requirement in terms of India’s defence perspective as it is only 100 km away from the McMahon Line separating India from Tibet (now under Communist China). A number of individuals along with few civil society groups earlier urged PM Modi to name the river bridge after the music maestro. The Patriotic People’s Front Assam (PPFA) and the Arunachal Pradesh Literary Society (APLS) separately advocated for the cause with an aim to honour the singer with an immortal voice as ‘he was a man of assimilation embracing various community & tribes of the region like a golden thread’. The PPFA argued that Dr Hazarika was born at Sadiya on 8 September 1926 and he made the first film titled ‘Meri Dharam Meri Maa’ representing Arunachal. Preferred to declare himself as a Jajabor (wanderer), Hazarika tried his hands in various field of creations as a poet, lyricist, singer, music composer, author, journalist and filmmaker. In fact, he was the most visible individual of the region for many decades. The APLS pointed out that Hazarika, who died in 2011, worked relentlessly for unity & integrity for all caste, creed and religions through his songs and music. He is hailed as the uncrowned king of the region’s cultural world. His songs continue to be popular even today as those contain the humanity above all. Hazarika got PhD in mass communication (1952) from Columbia University, New York. The bard of Brahmaputra was equally popular in mainland India along with Bangladesh, Nepal and Pakistan. Hazarika was conferred on Padamshree (1977) and Padma Bhushan (2001) besides Dadasaheb Phalke Award (1992), the first and only one from northeast India to receive the honour till date. The child prodigy sang and performed in ‘Indramaloti’, the second Assamese talkie film made by Jyotiprasad Agarwalla in 1939. Hazarika penned thousands of lyrics and rendered his crisp voice for nearly 1500 songs. He had composed music for 36 Assamese films, many Bengali (Jiban Trishna, Jonakir Alo, Mahut Bandhure, Kari o Komal, Ekhane Pinjar, Dampati, Chameli Memsaab etc) and Hindi (AAOPEk Pal, Rudaali, Papiha, Darmiyaan, Daman, Gajagamini etc ) films. As a director, some of his outstanding Assamese films include ‘Era Batar Sur’ (1956), ‘Shakuntala’ (1960), ‘Pratidhwani’ (1964), ‘Lotighoti’ (1967), ‘Chick Mick Bijuli’ (1970), ‘Mon Projapati’ (1978), ‘Siraj’ (1988) etc. He won Indian President’s award for ‘Shakuntala’, ‘Pratidhwani’ and ‘Lotighoti’ as a film maker. Hazarika was awarded with best music director award for ‘Chameli Memsaab’ in 1976. It was the first national award in music direction for the Assamese film industry. Assam government conferred two prestigious honours (Shrimanta Shankardev Award 1988 and Asom Ratna Award 2008) on Hazarika. Asom Sahitya Sabha, the highest literary forum of Assam, offered the coveted post of the President to him in 1993. For a five year term Hazarika was appointed as the Chairman of Sangeet Natak Akademi in 1999 and was also elected to Assam State Legislative Assembly in 1967. Soon after the Chinese aggressive in 1962, Hazarika visited the Kameng locality of Arunachal and created his eternal lyrics ‘------Aji Kameng Simanta Dekhilo, Dekhi Shatrur Pashutta Chinilo----- (Seen today the Kameng border and realized the barbarity of enemies meaning Red China) ’ to pay homage to the soldiers, who sacrificed their lives in the war. He also advocated for a watchful force at the China border for the security of the nation. KARACHI, May 20: International Freedom of Expression Exchange (IFEX) Executive Director Annie Game has urged Pakistan’s Prime Minister Nawaz Sharif to respond to UNESCO Director-General’s 2017 request that has sought information on the status of judicial inquiries into the killings of 55 journalists in Pakistan from 2006 to 2016. In a letter, Game also asked the Prime Minister to take measures to promote the safety of journalists in mainstream and online media, and to combat impunity. 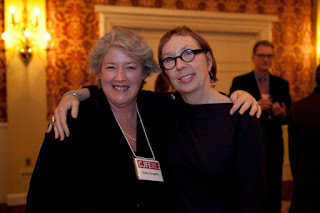 The Executive Director of IFEX, the global network working to promote and defend freedom of expression worldwide, said the UNESCO Director-General’s biennial report was a way for states to demonstrate their commitment to addressing crimes against journalists and media workers by providing detailed information on the steps being taken to achieve justice and end impunity. The report is expected to serve as a monitoring mechanism for tracking progress towards Sustainable Development Goal 16.10 on access to information and fundamental freedoms, which UN member states unanimously adopted. It has been observed that the report’s value would be further strengthened through the collection of information on good practices. The IFEX Executive Director applauded Pakistan's responses given in the years 2014 and 2016 on the Director-General’s request and asked him to further improve this trend of accountability by submitting a detailed and updated information on journalists killing cases to UNESCO, besides granting them permission to make it publicly available. She hoped that the Prime Minister would assist UNESCO in the collection of good practices by providing information on general safeguards implemented for the protection of journalists and also end impunity issue in Pakistan. She said responses by Pakistan would be included in the upcoming 2017 World Trends in Freedom of Expression and Media Development report and the 2018 report on the Safety of Journalists and the Danger of Impunity. Game informed Sharif that since 2006, over 800 journalists and media workers had been killed worldwide and in more than 90% of those cases, the perpetrators had gone unpunished and such type of extreme unchecked violence was the ultimate form of censorship that severely curtailed the flow of information necessary for a peaceful, prosperous and democratic society to flourish. “The culture of impunity that has developed around this issue only makes it more likely that such crimes will continue to occur. 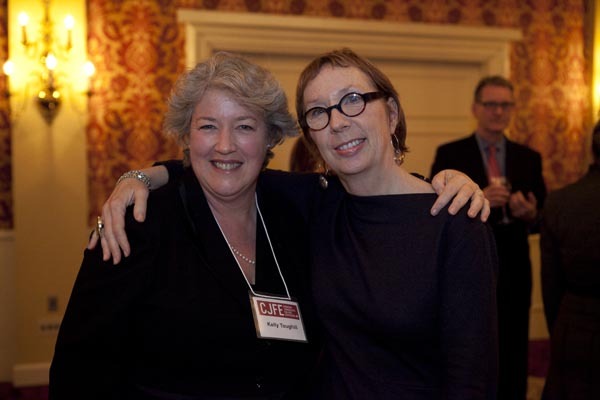 For this reason, the issue of impunity for killing of journalists is one of the greatest threats to freedom of expression and information worldwide,” she further said. The IFEX Executive Director urged the Prime Minister to ensure that Pakistan's efforts are documented in the relevant reports and the government demonstrates accountability by making the submission to UNESCO before 30 May 2017. “In doing so, you will be helping to improve political will to address violence, building a global repertoire of best legal practices, and showing that attacks on freedom of expression in Pakistan will not be tolerated. We look forward to your response to this letter and to seeing updated information on the cases mentioned above made public in the relevant reports and on the UNESCO website,” Game concluded.